In the wake of the Tehran summit, the situation in Idlib remains quite serious. Iran's unilateral decision to broadcast the debate live revealed what kind of tense negotiations took place between President Recep Tayyip Erdoğan and his Russian and Iranian counterparts behind closed doors. Although Vladimir Putin and Hassan Rouhani did not accept Erdoğan's cease-fire plan, the Turkish president was able to catch the international community's attention. Earlier this week, in an op-ed for the Wall Street Journal, he urged the world to stop Bashar Assad and prevent the imminent bloodshed in Idlib and proposed a "comprehensive international counterterrorism operation." The Turkish offer, which frustrated Moscow, was backed by Western countries, including the United Kingdom. Again, the United Nations Security Council discussed over two meetings the future of Idlib and the merits and shortcomings of the Astana process. Meanwhile, the United States, France and Germany continue to threaten military action if the Assad regime uses chemical weapons in Idlib. As a matter of fact, French Foreign Minister Jean-Yves Le Drian warned that the indiscriminate bombing of Idlib would amount to "war crimes." Under the circumstances, all eyes are set on Turkey – the only country that can work with the Western alliance and Russia and Iran simultaneously. 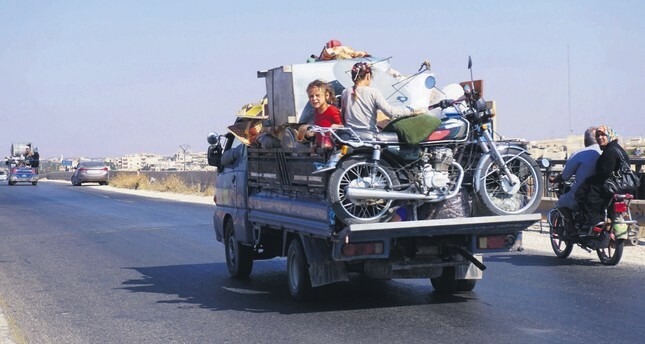 As such, many observers see Turkey's efforts as Idlib's last chance.In additional to raising international awareness about the situation in Idlib, Turkey attempts to ensure that Western governments concentrate on a political solution in Syria once again. It goes without saying that a military operation, which would target all rebels and result in a humanitarian disaster, would seriously damage the Astana process. It is important to note that Russia will still need Turkey's help to determine the future of Syria post-Idlib. Today, 26 percent of Syria is under the control of the designated terrorist organization PKK's Syrian branch, the People's Protection Units (YPG), which enjoys U.S. support. More importantly, the country's major sources of oil and water happen to be in YPG-occupied areas. Turning a blind eye to the Assad regime's annihilation of the moderate rebels will destroy the political transition process in Syria and spawn radical groups, which the world thinks are dead, in the form of new terrorist organizations – as in Iraq and Afghanistan. Those groups would place at risk the security of Europe, including Turkey. Meanwhile, failure by the U.S. to change its YPG-centered Syria policy will perpetuate tensions between Ankara and Washington. To be clear, an impromptu rapprochement won't be enough to contain Russia and Iran in Syria. Finally, it is important to keep in mind that the deradicalization of extremist groups, such as HTS, isn't just Turkey's problem. Provided that Moscow expects the Turks to eliminate radical groups operating in Idlib's de-escalation zone, one would hope that Turkey's efforts to disband HTS will receive a positive response. Still, the history of deradicalization is filled with unsuccessful attempts rather than success stories.